What I said was that the star must be at the center of gravity of the gas that comprises it. Thus an isolated gas cloud (need not be symmetrical) that collapses entirely into a star must put that star exactly at the center of gravity of the original gas cloud. Please be aware that we discuss about a gas cloud near the SMBH. So, you can't get any conclusion from a gas cloud which is not directly affected by a SMBH. What I said doesn't change if there are external forces moving the gas particles around. Center of mass is computed by state at a given moment, so if you move some of the particles, the center of mass moves correspondingly. If you gather all the mass of the material into one object like a star, then the center of mass of that material will be at the center of that star, and not elsewhere. The presence of the SMBH (besides preventing that formation) does not change that. I say that a gas cloud near a SMBH doesn't set the star forming activity at the center of the gas cloud. I carefull asked what you mean by those words, and as usual you ignored it. So I don't know what you mean by 'set the star forming activity'. Perhaps a star might start to form to one side with most of the gas still off to the other side, but if it eventually gathers that remaining gas, the star will be exactly at the center of mass of all that material, and if it doesn't gather in all that gas, then it isn't comprised of all the material of which we're taking the center of mass. Why are you so sure that a new star must be formed at the center of the gas cloud that comprises it while this gas cloud is located near the SMBH and affected by its high magnetic power? External forces are irrelevant. I am sure of my statement because of the way one computes center of mass. This is a simple geometric property and not even a law of physics. How does one find the center of mass of an object? How does on find the center of mass of an object affected by high magnetic powers of a nearby SMBH? The answer is the same for both since the SMBH and magnetic powers are not part of the calculation. Magnetic forces tend to gather material into a disk or a torus if the field is very strong. The field resists motion in the direction you indicate. Can you please prove it by real evidence? Any computation of the center of mass of the material comprising an object would show it. I cannot help it if your education didn't include teaching you how to do that. So I can prove it to the average 7th grader, but I cannot prove it to you. 1. The Plasma in the accretion disc orbits at 0.3 speed of light, while its temp is 10^9c. Yes or no? It varies of course, but I don't know the figures myself. You don't usually call it an accretion disk. So I'll say yes since I have no reason to contest it. 2. There are clear evidences that the matter from the accretion disc drifts outwards. Its very name suggests otherwise. They wouldn't call it that if matter drifted outward. There is no clear evidence of this at all. So far our scientists didn't find evidence for any sort of matter (Star, Planet, Moon or even Atom) which had been eaten by the SMBH. Yes or No? No. All visual measurements of any SMBH are due to the matter being 'eaten' by it. If it doesn't pull in matter, it is entirely invisible. Ours is particularly starved for material, so it consumes matter at an unusually low rate, and thus emits far less radiation than a typical one. 3. There is a very strong magnetic field around the SMBH. Yes or no? It has one, yes. It is not particularly strong. Cygnus A is a nice example of a SMBH with a strong magnetic field. 5. The molecular falls back to the galactic disc. Yes or no? Material moving away from the galaxy will return to the galaxy if below escape velocity. The disk has little to do with this, other than to provide most of the mass that determines the escape velocity of the galaxy at a given point. A. We see clearly that S2 doesn't move exactly at the expected orbital cycle. Yes or No? There is no plot of expectation vs reality there, so it is not clearly depicted, and thus No. Since we don't know the distribution of matter near its path, there is no clear expectation of exactly where it will go. B. At 1992.23 the shift is about 0.2 Light days, while at 1998.36 the shift is 0.3 Light day. Yes or no? Don't know what shift is. You mean the length of the error bars? C. If S2 is orbiting around a VHP1 with a radius of 0.3 Light day (while this VHP1 orbits around the SMBH), do you agree that this verification is exactly what we should see. Yes or no? No. What one would see is a regular deviation apparent in a Fourier transform of the position data. That analysis has been done (you did not link to such an analysis) and it has conclusively shows that S2 does not orbit a secondary mass. 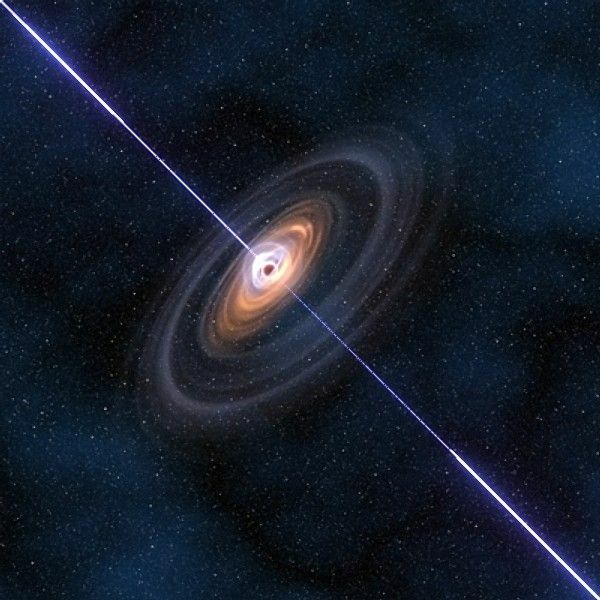 Deuterium was formed in the Big Bang, and gets actively consumed by stars and even in brown dwarf stars; so the amount of Deuterium in the universe is declining over time. Deuterium (and Neutrons in general) are being created all the time in stars via proton-proton reactions. It is the dominant reaction in stars as small as our own, but the CNO cycle dominates larger stars, The latter generates helium from regular hydrogen without ever involving deuterium. I see no basis for claiming that deuterium-free water ever existed on the Earth, or was more abundant in the past. Not that such facts would ever slow a sales pitch. The implication of benefit from this fictional past pureness is equally baseless. So they charge for the heavy water, and they charge for the wastewater too! Why would waste product be so pure? Sure, you want nice pure heavy water, but the process needs to be optimized to prevent impurities to that half of the sorting, not impurities to the waste side. If I found a cheap way to get 99.9% purity of heavy water by extracting only 1/3 of the heavy atoms from sea water, I'd be rich, and my waste would still have 2/3 of the impurity of distilled water. You believe that the Sun had been formed as the matter collapses to the center of the gas cloud. I didn't say that. Gas clouds are everywhere connected and not symmetrical and form stars here and there. What I said was that the star must be at the center of gravity of the gas that comprises it. Thus an isolated gas cloud (need not be symmetrical) that collapses entirely into a star must put that star exactly at the center of gravity of the original gas cloud. In reality, gas clouds are not thus isolated, symmetrical, or entirely consumed by star formation, but my statement above still holds. Let's start from the excretion disc around the SMBH. In the excretion disc there is a plasma at a temp of 10^9 c.
How does this plasma acquire this temperature. Excretion/expansion has a cooling effect, not a heating effect. Air conditioners work by letting hot compressed material excrete and expand into a low pressure area, cooling the material to lower than ambient temperature despite the input of energy. Your excretion model should predict cold material, not hot. Plasma means no molecular anything. Molecules cannot form if electrons cannot be held. As all of this new matter drifts outwards from the excretion disc it gets to the magnetic field around the SMBH. The Ultra high power of that magnetic field Push that mater upwards (or downwards) with regards to that disc (at almost 0.8 speed of light). Why is there a disk if the matter is being sprayed in all directions? How can such a random matter/energy generator expect to define a galactic plane? How can any matter at all be created by an object from which nothing can escape? What part of general relativity are you going to rewrite to support this idea? If you discard GR, there is no black hole from which all this matter can emit. If you don't deny GR, then your matter-spewing SMBH idea is a direct contradiction with it. I don't think you mathematics skills are up to Newton's level, let alone gravitational field theory. At some point, the Atom/Molecular falls back to the galactic disc (but outwards the SMBH magnetic fields). As the new born molecular gets to the galactic disc, it starts to orbit around the SMBH. What force makes it turn and alter its orbit like that? Something moving in from outside the disk should just carry through to the other side and continue on its way, per Newton's first law. This question goes along with the question of why there is a disk in the first place if the center is spewing matter in all directions. Why should a disk form at all from such a mechanism? At that point it had also decreased its temp to lower lever (I assume to 10^6 c). Is there a reason to assume this number or are you just making it up like everything else? Why would gas be white hot like that? That's like 170 times the surface temperature of our fairly hot star. That would be a blinding light everywhere if all the gas were that hot. However, the orbital momentum around the SMBH, push the new born molecular to gather in a hot gas clouds. How can momentum do that? Momentum should move all the gas apart, not gather it. New born gas is not molecular. It is atomic. Most of the gas in your picture with the bubbles and such is atomic hydrogen, not molecular hydrogen which is very hard to image as almost no light comes from it. The image shows almost no gas in the bulge, which seriously contradicts what you are suggesting in your post. Each gas cloud set a very strong gravity force with the nearby SMBH. Since there is gas on all sides, it would seem to have zero net force with the nearby SMBH. How can you not see that? You appear to be attempting to describe a VHP here, but the words make no sense. What do the words 'force had been set' mean? I agree that a collection of particles like a gas cloud plus a nearby black hole share a center of mass in standard coordinate (flat) space. But this is true of any arbitrary collection of matter including that gas cloud plus some random star somewhere or the SMBH of some other galaxy. The existence of this center of mass by no means does anything magical that can be described by the words 'set the force'. A nearby black hole will pull apart a gas cloud since it pulls the nearby atoms more than it does the further ones. These nearby ones will accelerate more and orbit faster, forming a disk just like the rings of Saturn which were created by the same process, albeit not a gas cloud. A cloud much further away might have sufficient local mass to hold itself more or less together by its own gravity. Note that Sgr-A does not tear apart our sun like it would if the sun were close enough, and the sun (a dense gas cloud) has far more gravity (smaller radius) holding it together than does a large radius low density gas cloud. However, that SMBH great gravity force, also force the matter in the gas cloud to orbit around the center of the cloud (VHP1) at a very fast speed. In a ring, yes. If far enough away to not be spread into a ring, then it doesn't orbit very fast either. We can compare it to a tornado storm in the gas cloud, while the center of the gas cloud (VHP1) is connected by gravity to the SMBH. The VHP1 is massless and thus not attracted to the SMBH at all. The gas is. The gas is what has mass. If it is close enough to be spread out, the center of mass of that gas would be the same location as the SMBH itself, just like the center of mass of Saturn's ring is the same location as the center of mass of Saturn. The orbital speed of that ring has nothing to with that low (zero) difference between the two centers of mass. The gravity of Saturn acts on the material of the ring, and not on its center of mass. If you mean something other than center of mass of some collection of matter to be a VHP, then you have totally failed to convey that meaning. "Definitions: A tornado is "a violently rotating column of air.."
A tornado also results in lower gas density (pressure) than the cloud from which it forms, which is exactly the opposite of the picture of gas compressing from a cloud into a star. Rotation tends to act against, not with, any force trying to bring the material together. So the tornado is a poor analogy of star formation. So, this violently rotating column/cloud push the matter away from the center of the gas cloud (VHP1) to the edge of the gas could. OK, so you realize this effect. It resists the cloud's tendency to collapse under its own gravity as it might if it is sufficiently distant from a disruptive force like a nearby gravity well spreading the cloud out like a black hole would. So away from that black hole, you now have a cloud rotating under its angular momentum, and low gravity is balanced by the very slow rotation. The cloud essentially is in equilibrium, but that might change if there are density fluctuations in the cloud. By doing so, there is high pressure in the matter as it gets to the edge of the cloud. How does the pressure raise? Rotating is greatest at the edge, so if it rotates at a constant angular rate, the outside moves the fastest and has the greatest tendency to move away. That makes for the cloud being most dense at the center and less as you move out. If it doesn't rotate at all, the center is most dense simply due to pressure (weigh) of all the stuff above it. If it rotates fast enough, the edges are flung away and density drops indefinitely low. Your description makes it sound like a washing machine on spin cycle where there is a physical wall preventing the material inside from exiting, so it gets densely plastered to the walls. This high pressure, High temp (10^6) and high orbital velocity set the crystallization process of the Sun. High orbital velocity around what? A big cloud cannot rotate quickly else it just disperses. It cannot be near something like a SMBH else the non-uniform gravitational field will similarly disperse the cloud. Still, clouds are large and might produce several stars. Let's say the sun is one such star, and it forms nowhere near the center of the cloud. I can accept that. But it doesn't have any orbital speed around that cloud, and since the nearby parts of the cloud are on all sides, the net gravitational effect from is is negligible. It pulls in all directions. Other stars form in different parts, and the effect of that is more random gravity pulling in no particular direction. The sun will orbit a dominant mass only if that mass is coherent and concentrated in one direction. If the gas cloud were the only thing in the universe, the sun might slowly orbit it. The galaxy is a giant cloud of that sort, but does not behave as a point source of mass, so the orbit about it cannot be Keplerian. In the first phase, we might find many small hot objects that orbit around VHP1. You suggested above that all the bodies (star, planets, moons) were formed at the same time, but now you're saying that objects merge, which changes your story. Are you suggesting that the sun was once a plural system, and the stars merged? If not, then the center of mass of the solar system has always been where the sun is since it has almost all of the mass. It does not orbit the center of mass of the solar system, which is within the sun most of the time but never far from it. If the VHP of the solar system is not its own center of mass, then you have failed to define what it actually is. No body is attracted to the center of mass of any collection of mass. It is attracted to the mass itself, which has defined forces under Newtonian mechanics. This is readily demonstrated with application of Newton's laws and also by observation. How could a planet be that hot and not instantly explode in white fireball? There would be nothing left. Gas at that temperature would not be able to condense into objects in the first place. Therefore, the Sun (and all its planets & moons) had been crystallized while it orbits around the center of the gas cloud (VHP1) and not IN the center of the gas cloud. This is a description of a binary (or more) system, where a cloud condenses into more than one star. If just one on one side, the cloud will either (depending on the momentum of the cloud) disperse or be attracted to the one star and spread around it. The cloud is not orbited either way. No stellar-mass gas cloud can have stars orbiting it. It would need to make other stars in order to keep that material together, as our cloud has done, but we don't orbit any of them. They're in all directions and have little net local effect. Therefore, when the Sun had been emerged from the gas cloud, it was already orbiting around the center of the gas cloud (VHP1) while this center orbits around the SMBH. The dynamics of gas do not allow this. The sun would pull apart (or blow away) any nearby gas. Non-coherent material cannot be orbited. A tight binary system is sufficiently coherent to be approximated as a single gravitational source which can be orbited at a sufficient distance, but even this is not stable in the long run. Alpha-Centauri works in exactly that manner. However, at this stage, there is no matter at the center of the gas cloud (VHP1), while the SMBH still holds that VHP1 by gravity. Gravity cannot have any effect on a VHP. Newton's equations show this. This activity force the sun to orbit around a virtual host point - VHP1 (that was the center of the gas cloud - but currently without any matter) , while that VHP1 orbits around the SMBH. Here you are clearly referring to a VHP without any matter, so the loose description of one being the center of mass of something seems to be wrong. You really need to define what you mean by the term then. If there is no matter there, then there is no mass to have a center, but only the sun which occupies its own center of mass. This description here once again makes a VHP sound like a magical point that just exists somewhere with a object (star) bound to it at some arbitrary distance, and gravity from something else (the galaxy say) acting on that VHP instead of the star itself. Newton's equations describe no such thing. No, your description is not clear at all, because you describe a VHP in terms of a center of mass, and then not as a center of mass. Pick something and stick with it, because I have no clue what you're going on about. So, they believe that the Sun has to cross the galactic disc while it bobbles up and down. However, they ignore the key issue that the sun doesn't go up down, but it has also some inclination with regards to the galactic disc. What do you consider to be 'inclination'? The word is usually used to describe the tilt of the axis of rotation relative to the plane in which it orbits. So the Earth has an inclination of 23° but that has nothing to do with its motion through the solar system. Similarly the solar system has an inclination of 63° relative to the galactic plane. So the scientists are not in any sort of denial about our inclination. The value is pretty trivial to measure. I also couldn't find any bobbling activity under Newton law. You don't understand the implications of the law then. Work out the force on an object from a planar distribution of material. It can be derived from Newton's gravitational formula. The force vector is a function of the thickness/density-curve of the material. So, there is no gravity force due to galactic disc and the Sun doesn't bobble around the galactic disc while it orbits around the galactic center. Your lack of mathematic skills does not constitute evidence against what the mathematics implies.. The Sun had been formed is a gas cloud at the center of the galaxy near the SMBH. The matter in that gas cloud had to orbit around the center in some sort of tornado. This orbital motion crystallizes the matter into star/planets/moons system. So, the center of the gas cloud is the basic location of the VHP1. That makes the star its own VHP. That's not a virtual point. It is a real mass. The star isn't going to orbit anything, given that description. Hence, as the Sun emerges from the gas cloud it already orbits around its VHP1. How can the sun orbit itself? You've basically described an ideal cloud that collapses into a unary solar system like ours. The star is the mass around which everything else orbits, because everything else has mass that is dwarfed by the primary. This VHP1 has great impact on gravity force. If a virtual point (something virtual, with no mass of its own) has any impact on gravity at all, then it doesn't conform to Newton's laws, which describe no such thing. His law is F=GMm/R², and the M of a VHP is zero, so zero force, and zero impact. You're getting your science from a religious site? "If the rope in Fig 94 has the length of the seconds pendulum and the body travels around the hand 10 times per second, then the rope is subject to 400 times that load which it carries when the body simply hangs. " "The centrifugal field, generated under these conditions is therefore 400 times as strong as the gravitational field. People have succeeded in generating such fields in excess of 100 000 times the gravitational field (Ultra-centrifuge) "
So, the centrifugal can increase the gravitational field by even 100 000 times. Yes, this is exactly how one might create artificial gravity in a space station or ship, except the article mistakenly misrepresents the effect as a 'field'. A centrifugal field exists only in a rotating reference frame, which is not what is being depicted. They're using EM force instead of gravity to apply acceleration to mass. EM force can take only so much. It takes an incredibly strong material to achieve 100,000 Gs. A gas cloud is not that material. In the same to token, the VHP1 can increase significantly the impact of the Sun mass by gravitational field . How so? Via what force? Yes, If I tie two rocks together with a cable, I can get them to orbit each other via EM force at a much higher rate than what gravity would produce. The cable is needed to transfer the force between the objects. A VHP has no place to attach a cable or anchor any other force. Not even gravity since it has no mass. The outcome is, that when we set the gravitational calculation, we have to know the real value/impact of the Sun mass at VHP1. If it is going to have any effect on the sun, then you need to instead calculate the real value/impact of the VHP1 on the sun, not the other way around. Of course under Newton's 3rd law, the two forces are equal and opposite. Based on the radius between the Sun to the VHP1 and the orbital velocity we can extract/estimate the Sun mass gravitational field at the VHP1 location. So you claim, but no way to extract this has ever been provided, so it's fiction until then. So, the orbital motion of the Sun around the VHP1, can increase dramatically the impact of the Sun mass. Nothing in the article you quoted had anything's mass being increased by its motion. This happens under relativity, but we're not exactly getting into that here. Let's assume that each star has the same Sun mass. Our scientists might claim that based on this density and the mass per each star , there is not enough gravity force in order to hold them together - and they are fully correct. However, due to the orbital motion of each star around its unique VHP1, the effected mass of each star at its unique VHP1 could be 1,000 Sun mass (We must verify this number). This is a complete misrepresentation of the article you quoted. A spinning object has no more mass than the same object stationary (relativity aside). A centrifuge exerts no more force on objects nearby when it is spinning compared to when it is stopped. You seem to assert otherwise here. You also assert that stars orbit a virtual point, which defies all known physics. If there is orbital motion, it is because there is real mass to orbit, not a virtual nothing. A gyroscope attracts nothing when spinning, nor does its weight or mass change. Physics, Astronomy & Cosmology / Re: How do we measure the circumference of a black hole? To answer the second question first, space is bent anywhere around an object with mass, so the space is not Euclidean around them. You can take a measuring stick and count off the meters of say Earth's circumference and get its proper distance. You can then divide that value by 2π and compute the Earth's Schwarzschild radial distance, which will be a bit less than the proper radius you would similarly measure with the stick. The difference between the two is more and more the more dense the object. With a black hole, the proper distance cannot be measured since there is no way to do it with a stick and the computed value is meaningless. So to answer the first question, the circumference of the black hole is a limit of the proper circumference as the radius approaches the event horizon. You can't actually do it directly at the event horizon since there is no way to put a measuring stick there. The Schwarzschild diameter is just that circumference /π, and that is the only meaningful value we have to work with. There is no diameter more real than that. Mathematically, there is an infinite or undefined 'distance' to the center (computed different ways). It isn't a proper distance since there is no way to orient the stick along the line we wish to measure. It isn't really spatial distance inside the event horizon. I will be very slow in replies for about a week. Just too busy. No evidence proves any theory. Nothing can be proven by inductive evidence, which constitutes almost all empirical measurements. Some theories just hold up well to falsification tests. A triumph of cherry picking. You found something that labels bridges, even if it is a map of gas instead of stars. I'd like to see the map without the arms drawn onto it, and without the greyed areas. "the hydrogen emission is more widespread than the visual data and shows regions of the galaxy that at visual frequencies are obscured by dust, as well as bridges or spurs that connect spiral arms.."
That page has a visible image (the stars) and the gas image (orange) and when superimposed, it shows that the stars tend to be most dense between the gas arms. So the gas is more of a foam structure with bridges connecting it all, and it avoids the stars which blow the gas away via solar wind. At least, that's what the text says. The middle orange image shows a lot more connective structure than the Milky Way image which has the disadvantage of not having a good face-on vantage point. "the hydrogen data shows more detailed structure than the visual data, including many "holes" or bubbles in the hydrogen emission"
So, do you agree that between the arms there are many "holes" or bubbles without even a single star? gas may expand away from the star formation regions, driven by enormous stellar winds. This local movement may explain the bubbles so obvious in most hydrogen maps of other galaxies. You set an expectation - and you prove it by real evidence!!! The evidence you quote talks about star formation in the gas clouds, contradicting your assertion that all stars form near the SMBH and drift outward from there. Therefore do you agree that this article by itself proves that my theory is correct by 100%? Do you have any idea how proof works? Do you know what the word means? My alternate theory predicts among other things that there are stars. I look up and see stars. Thus my theory must be 100% correct and yours is wrong. This seems to be the logic you're using, and yours is weaker since you predicted star bridges, not gas bridges. The Sun doesn't orbit around the center of the galaxy. Therefore, there is no gravity bonding between the Sun and the center of the galaxy (or the orbital sphere if you wish). 1) The conclusion doesn't follow from the premise, and 2) the statement is a denial of the Newtonian physics which you say you don't deny. Newton says that all mass attracts all other mass, a bond which cannot be broken. Maybe you mean something else by 'gravitational bonding', but your proposed motion is definitely in conflict with Newton's laws. Just asserting otherwise makes you look the fool. If the motion of an object is accelerating outward and forward, the forces required for such acceleration need to be accounted for, and you have nothing to account for it. Even the mainstream science views ran into this problem. The acceleration vector was noted and it didn't match the one predicted by a computation of the net force on us from all the known mass in the galaxy. They knew something was wrong. The vector at least pointed the right way, but the magnitude was wrong. Yours doesn't even point the right way. However, the main gravity bonding exists between the Sun and the local nearby stars. They hold each other by gravity. You assert this without showing it. The local nearby stars are on all sides and pretty much cancel each other out. Our overall motion seems little affected by them so long as that holds. However, it is important to understand that in any real orbital cycle ΔR is nonzero by definition. Not by Newton/Kepler's definitions. A nonzero ΔR in a real orbital cycle is a denial of their laws. You said you don't deny them, so I will hold you to it. Perhaps your problem is that you don't understand them. ΔR can be few Pico mm per cycle or few Km per cycle, but it is always there!!! This is the highlight of my theory! Please, you have to accept this idea as is!!! I tried that, but you didn't move on. You reasserted Newton's laws, so I no longer have to accept a blatant contradiction with them. My whole theory is based on this element and all the other elements including VHP. Both contradict Newton's laws. If you're going to hold to those laws, then your theory is contradicted and wrong. If you deny those laws, then you need to find replacements for them, which was why I was always complaining about the theory never coming out. I was looking for those replacements, without which no predictions can be made. We can't argue again and again and... on each element. Yes, it seems you will argue forever despite having your idea trivially falsified. Besides contradicting Newton's laws, it has our motion needing to be about 100 km/s away from the center of the galaxy, and no such motion has been measured. That is a direct empirical falsification of your assertions, and you just ignore it. If you insist to argue again about those key elements at each discussion, than we clearly wasting our time. Just now you're figuring that out? Just Chat! / Re: How to do 756 x 675 mentally? I got 510300 in my head in about 35 seconds. I divided the left by 4 and multiplied the right by 4 giving 189*2700 = 189*27*100. OK, so the answer ends in 00. 27 is 9*3 so I multiplied 189 by 9 and then by 3. Multiplying by 9 is easy: 1890-189. The last one was easy because it was 1701*3 and I already know 17*3 without needing to figure it out. All my theory is based on Newton law including F=ma. Oh. That add another boatload of contradictions then. I had been refraining since I had assumed your untold theory would provide replacements for all the current physics which I thought you were denying. A star must ALWAYS stay at the arm. (Let's ignore the bridge or any sort of gateway between the arms). However, as it stay in the arm it also drifts constantly outwards in the spiral arm. Therefore, if at t=0 the radius is R1, at t=T it will drift outwards to the radius R2. Not much use unless you plug some numbers into that. T=0 for 'now'. There is no T in that formula, so not sure why it was specified. R1 is presumably something like 8.2 KPC but you don't give any numbers for the other values, including the time for one 'cycle' which seems to be the time it takes for the form to rotate one more time than how long it takes the sun to go around. Neither motion is an orbit since orbits don't move like that. Anyway, the formula computes the length P. What figure do you get? I'd plug in numbers for you but I'd rather see you do it. If the star was keeping his orbital radius than the expected total lenth that it had to cross at time T (in a cycle) was 2πR. 'At time T' is a moment in time, and things take duration to cross a distance. So I think you mean interval, but both the sun and the arms are moving, so you can't compute it using the absolute speed of either, but rather the difference between the two. The length of time it takes the sun to go around the galaxy is different than the time it takes for the Orion arm to be at the same orientation relative to us as it is now. This is why it would really help if you plug numbers into your formula. It would help me understand what you're trying to convey here. All I get so far is repetition from prior posts, and you indicated that this P= formula would prove something. However, as it drifts outwards in the spiral arms (at the same time T) and based on that formula we have found that it cross 2πR + πΔR. Relative to the form, yes. P is the amount of arm it traverses in that time (not at that time). I stress that bit for clarity sake. 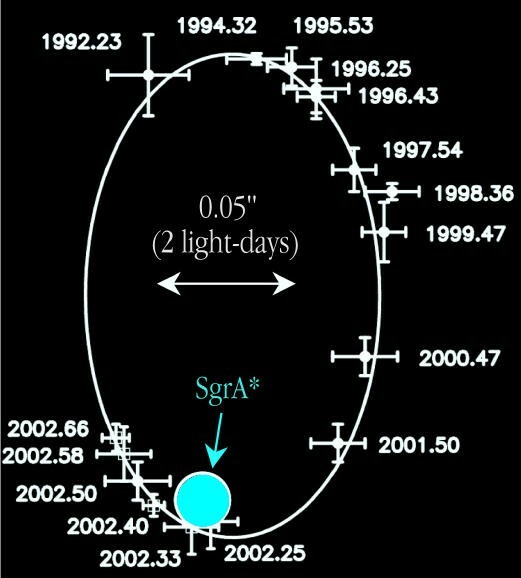 Therefore, as the star drifts from R1 to R2 (while it stay at the spiral arm) it increases the length that it cross by πΔR comparing to a star that stay at the same radius (R1). The one staying at the same radius will exit the arm and the distance it travels relative to that arm isn't really defined any more than is the distance I travel relative to all the cars going by outside. They're not going any particular direction any more than are the arms. So again, not sure what you're trying to say here. P is a distance relative to the (local) arm, not relative to other parts of the form which are moving with different velocity. Sort of. I asked for clarifications. Let's assume that star A is located at radius 4KPC from the center. So, if the star will stay at that radius during time interval T, it will cross one full cycle which is represented by a length of 2πR (R=4KPC). Interval T is unspecified, but yes, if the motion is a circular orbit, then one orbit (which one of the things you are calling a cycle) covers that distance, presumably relative to the galaxy and not relative to the rotating form as you described above. This ambiguity of 'speed relative to unspecified X' is quite confusing. 2πR/T (at R=4KPC) = 200km/s. Definition of what? Speed is 200 km/s by observation you mean. Nothing is defined that way. You didn't specify orbital period T, but you can work it out from the observed speed. You seem to be working out the speed from an unspecified T, which doesn't work. Besides, you used T before to indicate the time to go one 'cycle' relative to the moving form (the arm), not to the stationary galaxy which is what an orbit is. You need to use different variables for different things. To use the same ones is again quite confusing. Let's look at another star that is located at R=8KPC. In order to cross the full cycle in the same T it is clear that its orbital velocity should be double = 400Km/s. In order to orbit in the same time, yes. But it doesn't, unless you are claiming that it does, in which case you're claiming that the measurements taken are fiction. Our sun is located at a radius which is greater than 8KPC. At our location the expected orbital velocity should be 460 Km/s. Only if I expect it to orbit in the same time as the stars at 4KPC, and I don't expect that at all. That actually represents the orbital velocity of the arm. So, at our location, the arm orbits at 460Km/s. The arm goes a bit faster, and it is rotational velocity, not orbital velocity. But yes, the figure is more or less correct. But now we can see the great impact of ΔP = πΔR. P was the length of a segment of arm, not a speed. So this says that a segment of arm (a 10° chunk say) is twice as long at twice the radius. That's right... it just doesn't relate to the speeds you worked out above, which are arm speeds relative to the galaxy, not arm speeds relative to the local stars. This ΔP represents the length that the star drifts outwards in the arm. Well, if it is πΔR, then it is the tangential component of that drift down the length of the arm, which is consistent with the way you defined ΔP and ΔR in post 283. The total motion down the arm is the vector sum of the two. You used several different interval T's above. Which one are we referencing now? The time it takes for a star to migrate from 4KPC to 8KPC? You didn't compute that at all. It isn't one 'cycle' of anything, whatever that is. You didn't even compute the distance P between those two points since the number of cycles is not known. It can be done. The data is there. But I'm really unclear what you are talking about without seeing what you're actually plugging in to these formulas. But it also moved backwards. ΔR↑ - Vector of the increased radius per time interval T.
ΔB↑ - Vector of the length that the star moves backwards per time interval T.
So, ΔB/T gives the negative orbital velocity of the star. Motion with a nonzero net ΔR is not orbital, but yes, I agree with the calculation. Therefore, we know that the orbital velocity of the arm at the Sun location is 460 Km/s. so if the sun had to stay at the same radius and at the arm, it had to increase its velocity to 460Km/s. However, as it drifts backwards in the arm at ΔB it reduces its velocity to 220Km/s. So ΔB represents the backwards velocity of the sun in the arm, which is 240Km/s. We had worked out 480-220=260 in a prior post, but close enough. So far, all this is pretty repetitive of prior posts. By your theory we should be progressing out the length of the arm at a tangential rate of about 240 km/s. The actual rate is higher because ΔR has yet to be worked in. Our scientists don't think about that ΔB vector. Therefore, In order to stay at the same radius and keep the velocity at 220Km/s, the Sun MUST exit from the arm. That is their fatal mistake. Why? Yes, they have the arms passing us by one after the other. You disagree with this, but that disagreement does not demonstrate any inconsistency in the view. In fact it is sort of a selling point if you ask me. So what's fatal about their conclusion that the Orion arm will shortly pass us by? It is moving at over twice our speed after all. The Sun will stay at the arm as long as it can, but it must drift outwards. So you assert despite the lack of force driving it on such a trajectory. The idea violates this Newtonian physics that you asserted at the top. The acceleration vector you describe does not match the force vector sum on the solar system of all the mass everywhere. So your story is a blatant contradiction with F=ma. That drifting outwards set the spiral shape of the arms in the galaxy. This is just an assertion. It doesn't follow from anything you've said. In fact, what you said is that the spiral shape sets the outward drift, not the other way around. You assumed the spiral shape in order to make your calculations of where the star must go to stay within it. I hope that by know you understand why the arm is moving at our location at 460Km/s while the orbital velocity of the Sun is only 220Km/s. I understood that several posts back when I told you the value the first time. It also necessitates a ΔR rate of about 100 km/s to move at that speed and stay in the arm, yet no such outward motion has been measured. 100km/s would be an impossible thing to miss. But this, being a trivial falsification of your view, is something that you will simply ignore as you have done all the other times I've pointed it out. Once you understand that key information I will answer other questions. I understood it all back when I first did the math for you in post 285. You've only since been quoting the numbers back at me. This entire post has been repetition of prior posts. So, based on the density wave our scientists gave themselves a waiver to skip the need for using any kind of formula for the spiral galaxy shape. However, when it comes to me, than even the basic spiral formula which is available in the web is not good enough. 1. I always said it was good enough for the example you were using. 2. The formula for the shape of a spiral is a different one than the formula to compute the length of a portion of that shape. The latter is what you found on the web, and that formula is mathematically wrong but close enough for the example you were using. 3. Any formula for the shape of the galactic form itself would apply to all theories, and would not be specific to wave theory, yours, or any other. The galaxy form has a certain shape which I suppose is mathematically describable if you want, but that shape is an observation and its mathematical description seems irrelevant. A good model will produce a shape something like what we see, and a bad model produces something else. The ability to mathematically describe the shape seems to be irrelevant to a model being accurate or not. I have offered clear explanation about the spiral arms. I have solved the rotation curve problem based on that formula at the web. And since I've said the formula on the web (which gives an approximate length of an arm segment) is good enough, I've been waiting to see how this solves the rotation curve problem, but you just will not move on to that part. You seem to deny F=ma, so your solution had better find a good replacement for that, because the whole rotation curve problem revolves around it. Actually, based on your reply I clearly see that you didn't even try to understand my message. It took me a long time to see what you were doing. Most of the confusion was about your refusal to define a 'cycle' even after several posts of asking. You only focus on finding negative aspects before understanding the theory. Kind of hard not to when it is so self inconsistent. Actually, you represents the good old science approach as we had in the past. Few centuries ago, our scientists were positively sure that we are the center of the Universe. That model fit well with the empirical evidence at the time. Copernicus posited an alternative view. I'm lucky that no one is going to set me on jail. Try going against a church that still puts people in jail (if they're lucky) for doing so. Still happens in places. They surly see all the contradictions in their theory - But they still believe that their theory is here to stay forever and ever. If they see contradictions, then they believe quite the opposite. It's why their work is never done. At Galileo's days the science community was controlled by the Catholic Church. You think it isn't that way anymore? I invite you to Kansas schools then. OK, it may not be specifically Catholics out there, but it is very much the church. They pit themselves against science because its success makes them a threat. What you are preaching does not, so they'll probably have no problem with your message. You're safe. At that time no one there has tried to understand what that person (Galileo) has found. They didn't want to hear any other idea. You claiming nobody listened to Galileo? You're wrong about that. It is clear to me that you have no willing to understand my theory. I've listened all along, and while the necessary details will remain forever hidden from me, I've done my best to understand and glean the implications of what you are saying, such as the fact that all stars this far out have only 50 million years left in the galaxy, and yet this conflicts with the total lack of stars that have been similarly flung out ahead of us. Sounds like you're the one that doesn't listen to yourself. You seem to agree with these predictions, and yet don't face the evidence against. You describe a furious lawn sprinkler and yet cannot explain why the grass is not wet yet, like all the water evaporates or something just before hitting the ground, leaving only the twirling shape of the water in the air. You describe a VHP sometimes as the center of mass of something, but then don't find any mass to define it. That's completely inconsistent. If it is a center of mass, then what mass is it the center of? And then, how does the motion of any object relate to that VHP? You refuse to answer those questions, which means you don't actually have a theory. It's not that I prevent you from posting it. No amount of questions will get those answers because clearly you don't even have them. Science isn't done by some guy saying he has all the answers but will not actually reveal any of it. Nobody will publish that and nobody will publish you. Nobody will teach your theory in the universities because you will not reveal it, due to the lack of its existence. Now you get stuck for 10 posts about the length of a spiral segment going from 8 to 10 in one lap which is approximately 18π, but you refuse to reveal what possible significance this has, but you spend plenty of time asserting how this revelation will explain everything. So stop with the promises and deliver how this one number explains something. However, I do appreciate your knowledge in science and all your effort to convince me that my theory is incorrect. I don't have that much science behind me. I need to look up a lot of what I post since there's only so much they teach in schools if you don't major in these things. The mathematics is more me. I'm no dunce with numbers or computers. So, what is needed to convince you that there is a fatal mistake in the current theory? Depends on what you mean by fatal. There's always room for improvement, but if you want to contest F=ma, you need to find an explicit empirical evidence that it's wrong, which would be a pretty fatal blow. If you don't contest it, then you need to identify the forces and reactions necessary for the sort of motion you describe, because right now everything you describe contradicts F=ma. What kind of evidence will help you to understand that my theory is correct? Show me what's wrong with F=ma. That is not much evidence that your theory is correct, but it shows at least that all your claims about established science being fatally wrong is true. I will admit that several of the sites you've linked have incorrect science in them, but the writers of these articles are rarely scientific people themselves. They're journalists and such.